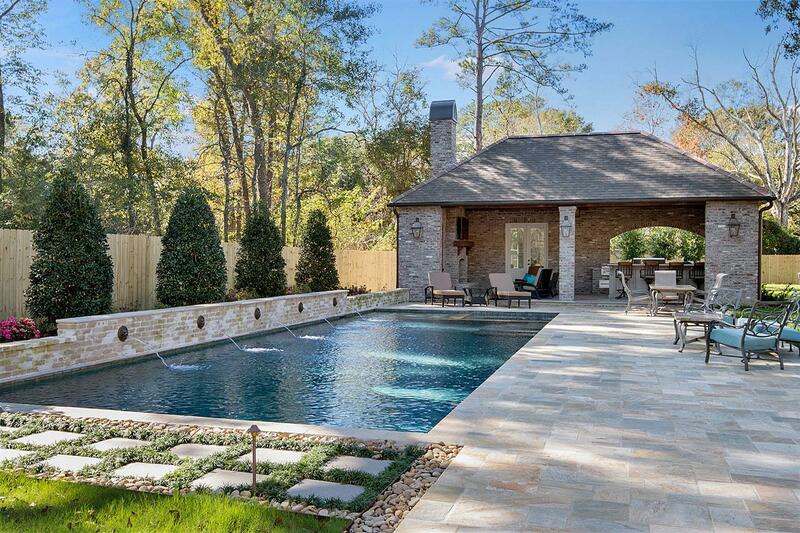 At Lucas Firmin Pools, we regularly service over 75 pools each week—residential and commercial—in the Baton Rouge area. All our service technicians are Certified Pool Operators® and go through extensive training on servicing pools and water balance treatment. We offer weekly service year-round. What does Lucas Firmin’s weekly pool service visit include? And finally, we hang our door hanger, which indicates date of service and any issues or concerns, if you are unavailable! What chemicals does Lucas Firmin Pools use in pool maintenance? Are there any chemicals or consumables which are not included in the monthly service charge? Our certified pool service technicians will consult with you and report any extra services or repairs your pool may require beforehand. How is my weekly pool service visit scheduled? Pools are scheduled for certain day of the week and are generally serviced around the same time of day each week. Depending on weather, illness, or other unforeseeable events, the service day for your pool may be pushed back to the next day and you will be notified. If you are having an event or party at your house, we do our best to adjust your service date for that week so your pool will be in tip-top condition for your guests! How can I get my pool regularly serviced by Lucas Firmin Pools? Instead of spending your free time testing water balance, cleaning filters, and constantly skimming debris, wouldn’t you rather spend your evenings enjoying your pool? Give the pool maintenance experts of Baton Rouge a call to find out if our comprehensive maintenance package is the right fit for your pool and schedule!